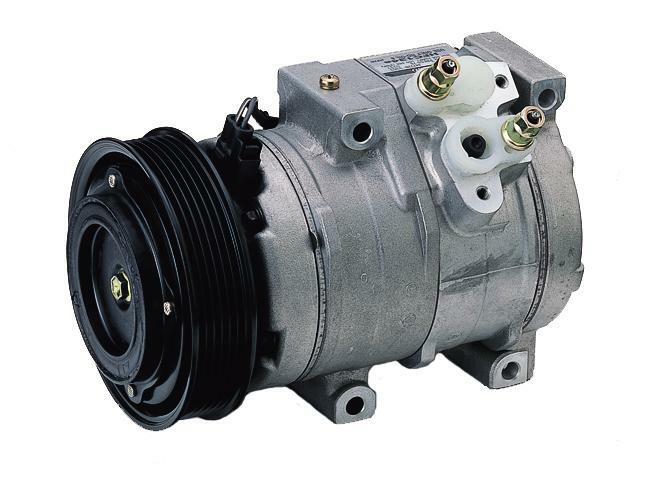 Click For More Info 1997 - 2001 CATERA ALL V6 3.0 ALL ALL ALL OE recommended replacement part. Click For More Info 1989 - 1990 COMMERCIAL CHASSIS ALL V8 4.5 ALL ALL ALL OE recommended replacement part. Click For More Info 1991 - 1991 COMMERCIAL CHASSIS ALL V8 4.9 ALL ALL ALL OE recommended replacement part. Click For More Info 1992 - 1992 COMMERCIAL CHASSIS BASE V8 4.9 ALL ALL ALL OE recommended replacement part. Click For More Info 1993 - 1993 COMMERCIAL CHASSIS ALL V8 5.7 ALL ALL ALL OE recommended replacement part. Click For More Info 2004 - 2005 CTS ALL V8 5.7 ALL ALL ALL DENSO is the OE supplier for this vehicle; OE-specified Oil included. Click For More Info 2004 - 2007 CTS ALL V6 3.6 ALL ALL ALL DENSO is the OE supplier for this vehicle; OE-specified Oil included. Click For More Info 2005 - 2007 CTS ALL V6 2.8 ALL ALL ALL DENSO is the OE supplier for this vehicle; OE-specified Oil included. Click For More Info 2006 - 2007 CTS ALL V8 6.0 ALL ALL ALL DENSO is the OE supplier for this vehicle; OE-specified Oil included. Click For More Info 2009 - 2014 CTS ALL V8 6.2 ALL ALL ALL DENSO is the OE supplier for this vehicle; OE-specified Oil included. Click For More Info 1989 - 1990 DEVILLE ALL V8 4.5 ALL ALL ALL OE recommended replacement part. Click For More Info 1994 - 1995 DEVILLE BASE V8 4.9 ALL ALL ALL OE recommended replacement part. Click For More Info 1994 - 1995 DEVILLE CONCOURS V8 4.6 ALL ALL ALL OE recommended replacement part. Click For More Info 1996 - 1999 DEVILLE ALL V8 4.6 ALL ALL ALL OE recommended replacement part. Click For More Info 1989 - 1990 ELDORADO ALL V8 4.5 ALL ALL ALL OE recommended replacement part. Click For More Info 1991 - 1992 ELDORADO ALL V8 4.9 ALL ALL ALL OE recommended replacement part. Click For More Info 1993 - 1993 ELDORADO SPORT V8 4.6 ALL ALL ALL OE recommended replacement part. Click For More Info 1993 - 1993 ELDORADO TOURING V8 4.6 ALL ALL ALL OE recommended replacement part. Click For More Info 1994 - 2002 ELDORADO ALL V8 4.6 ALL ALL ALL OE recommended replacement part. Click For More Info 1999 - 2000 ESCALADE ALL V8 5.7 ALL ALL ALL OE recommended replacement part. OE-specified Oil included. Click For More Info 2009 - 2009 ESCALADE ALL V8 6.2 ALL ALL ALL DENSO is the OE supplier for this vehicle; OE-specified Oil included. Click For More Info 1989 - 1990 FLEETWOOD ALL V8 4.5 ALL ALL ALL OE recommended replacement part. Click For More Info 1989 - 1990 SEVILLE ALL V8 4.5 ALL ALL ALL OE recommended replacement part. Click For More Info 1991 - 1992 SEVILLE ALL V8 4.9 ALL ALL ALL OE recommended replacement part. Click For More Info 1993 - 1993 SEVILLE STS V8 4.6 ALL ALL ALL OE recommended replacement part. Click For More Info 1994 - 1997 SEVILLE ALL V8 4.6 ALL ALL ALL OE recommended replacement part.